I am slowly adding new plants to my small container garden . This time around instead going the old way I wanted to try out some new ways of doing things. Hence I decided to say bye bye to garden soil and went for Soilless medium instead. Unlike foreign countries, getting a commercial potting mix here is not an easy task and so i decided to make my own potting mix. The raw materials I use for my potting mix are given below. Coco Coir is the dust that binds the coconut fibre and is also called coco pith. This was once a waste product but now is exported to many countries. I was able to find a company that exports this as Discs. I ordered some 10 discs from them. Its a compressed disc and on soaking in water becomes loose and fluffy. This increases Water retention and aeration. This is used as an alternative to depleting Peat moss. This is another miracle substance that improves the water holding capacity of the soil and is responsible for storing nutrients and releasing them slowly to the plants. 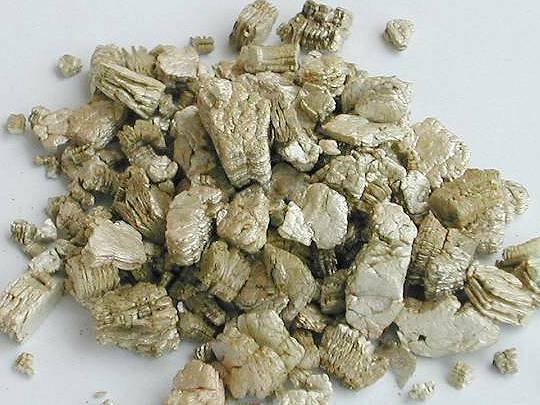 Vermiculite is manufactured by heating a mineral very similar to mica to a very high temperature and it pops up into flakes like corn, resulting in a golden flaky substance. Vermiculite has to be handled gently in order to not compress those flakes. Finding this in Bangalore, India was very difficult and all you get when you ask for this in a garden shop/nursery is a cold stare. But after a week of searching I found a company in panruti, Tamilnadu, who were kind enough to give me a free sample of 5Kg. Perlite is another light weight substance, made by heating a volcanic glass to a high temperature which pops up to a porous substance that is very good in aeration and improves drainage. This makes an excellent medium to grow plants. Getting this in bangalore, india was very very very difficult and I almost gave up searching for it until there was one shop who was selling it for Rs 60 a Kg. Couple of Kgs was ok for my needs. To the above three substances, I add well composted manure and some vermi compost. I have been able start seeds well with this mixture.However, a mixture of the above three doesn’t have really any nutrients in them since coir, vermiculite and perlite all of them are inert. The nutrients supply is mainly from the compost. So a regular feeding of nutrients is necessary to get the plants growing. Good to hear that you found my blog useful. There are not many places in bangalore for vermiculite. They sell vermiculite @20/Kg which is very expensive. 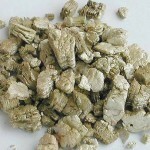 BTW what is the quantity of vermiculite you are looking for? Its good to know another person with similar interests.. May I know a little more about you?. Hi there, was pleased to find your posts on cocopeat and vermiculite. I have been struggling to buy these since they seem to be exported with no retail supplises. Can you suggest sources for them in Bangalore? Please let me know where to procure panchakavyam and how to use it. Read your post/comment on geekgardener.in I am also an enthusiast in hibiscus. Can you please advice me where to get various varities of hibiscus. I am living in Mumbai. I am Nikhil a plant lover. My mum in Besant Nagar Chennai successfully grows tons of different colours of Hibiscus (the only colour missing is WHITE). Some of her flowers are hybrid and others not. Whatever variety they are she is able to harvest daily at the very minimum 40 Hibiscuses. When I was in Madras I used to veg and flowers on my balcony sill. Then tiny flies came and “flat rules” by my other half forced me to discard my plants much to my disappointment. Now I divide my time between Medak District near Hyderabad and Madras. To my joy Medak offers me excellent Soil and Weather. Hopefully soon I will be able to grow all I want. Hibiscus plants need good sun and regular fertilizer. Use a fertilizer that is low in phosphorus. 13-5-26 or any thing along those lines is a good fit. I get lots of queries for places that sell garden products. I will plan on writing a post just for this .. to my fellow gardeners..
very interesting read about replacing peat moss with coco coir. We are sampling the square foot gardening method and if it works we’ll implement it at our foundation in Sri Lanka… somewhere I’m certain coco coir shouldn’t be too hard to find! Coco coir has been widely used in many countries for horticulture. I have heard Srilanka is the #1 producer of coco coir in the world hence I don’t think find coir is gonna be hard!!.. bumped into ur blog today and what a pleasure!! I m also a enthusiast gardener like u and my balocy thrives in greenery! Recently I ‘m bitten by the orchid bug, I have got some baby moth orchid from a flower show but unfortunately not finding a proper media to grow them. I am looking for Sphagnum(newzealand) moss & coco husk , any idea where in Bangalore do I get them. Do u know any nursery or shop in B’lore where ochid growing materials r used? Happy to hear from another enthusiast. There are many places in bangalore you will find orchid related stuff. You might know this already ‘Indo american Hybird seeds’ are big time into orchids. A bit on the pricey side though. You will also get sphagnum moss or simply called moss here locally. I am growing a venus fly trap and am looking for the following in Bangalore. Could you guide me to a store where i could find them. Could you tell me where you got the perlite from? I live in Bangalore too and just dabble in a bit of gardening in my restricted balcony. I would be grateful of any help. Also, is vermaculite not available here? Thanks in advance. And a thumbs up on this very well organised and informative blog! I found your blog when i was googling regarding some gardening tips and came across your blog. I am a novice when it comes to gardening with trucks loads of enthusiasm. I have a burning desire within me to start a roof top garden in bangalore. I get good amount of sunshine on the terrace. I needed some advice from you regarding the upside down gardening. I saw some videos on You-tube and am extremely fascinated by tht idea but i wanted to get some thoughts frm you before i punch in holes into those rather costly pots that i purchased from siddapura(krishna rajendra nursery). I knw you r a very busy man attending to tht great garden of urs n also patiently responding to questions frm folks like me 🙂 !! Thanks in advance for your advice and i will wait for your response before i get started on tht ambitious terrace project!! Btw i was planing to plant some tomatoes and beans for tht upside down garden project. Thanks for spending time on my blog.I appreciate your idea of trying out upside down planters. However, I don’t have an experience with such methods. Since you have a good terrace and ample sunlight, It is better to grow the normal upside-up 😉 way and you will be very happy with the results. I will also try growing 1 or 2 plants upside down and see if its good. Your blog is fantastic, not only with respect to contents but the way you describe it. I wated to know more about soil. I have planted some indore plants, but their response is not good. Some times they die or dried out, even though I water daily. I use soil, with sand and little amount of vermicompost. Do I need to add some thing more? Or how do I know that the mix is suitable. Thanks for visiting. There could be many reason why Indoor plants don’t grow well. Though some plants are called indoor, they do need some sunlight some part of the day. Try keeping them in partial shade every now and then and also add good quality compost or water soluble fertilizer 3g/litre. It should help. What are the plants that you are growing? I bumped into your post while looking through Pristine Nature after being referred to by Daily dump in Bangalore. I am a Sounth Indian but now settled in Faridabad-Delhi for good (perhaps!!!) with a 9-5 job, a 3 year child and a husband who works in Afghanistan!!! But I have a great passion for gardening and was into trying my hands on with several green / flowering varieties in potted plants until now. I have a independent house in Faridabad now and a good terrace and I am enthused to start my own kitchen garden hopefully whenever time permits…. b) To make them grow better and flower well? I would like to start small first with my kitchen garden and then completely transform my terrace to a kitchen garden like the way you have done it and then will need your guidance on that too…. My next question is … If I were to start small for a kitchen garden which are the veggies (maybe leafy, felshy anything) that is consderably easy to start with and please give me the month in which your details of that particular crop is detailed. Hope these queries are not a botheration… but you have an ardent admirer and follower now!!!! I really appreciate your passion for gardening. Now coming to your questions. a) I am not sure what organic termite control you can use but you can give Wettable Sulfur a try. Its also a miticide. b) You can add generous amount of compost for plants growth. If you can get bone meal you can also add a handful to every plant. This will encourage flowering. Palak, Radish, Amaranth, Tomatoes, Okra etc. There are some health related hazards associated while working with vermiculite, such as exposure to asbestos etc. Can some one throw some light on that? I too have read about the asbestos content. That is just in one of the mines in the US. The place where I buy they claim 0 asbestos in their product. Checkout the section Exfoliated Vermiculite. Its asbestos free..
Use it just for seed starting.. I am from assam and I am an african violet fan and growing them for 10 years now. I was looking for perlite and vermiculite in India which are essential for AVs. I buy a small amount each time I go abroad. I am also looking for good quality peat moss. Thanks for your blog and I shall try to locate the suppliers in Bangalore. Good to hear that you are an expert in AV. I can relate to you when you say you get it from abroad. Hi I am agriculturist. Yet I go looking for tips on container gardening from experts. Thats how I came across your site. Man tuse great ho. Software and gardening. I loved the way you have experimented with potting mix. I hail from some place near Panrutti. I know its known for clay but this vermiculite was news to me. I am settled down at Hyderabad and would soon move to an apartment with only two small balconies. The roof top may not be really ideal as the temp really rises here. But I am planning to have lots of plants. I have just started trying out sub irrigation planters with recyled soda bottles and planning to to do bigger ones too. I too mixed my own mixture but not as efficiently as yours. I mixed red, black soil, sand and lots of vermicompost. Waiting to see results. Wettable sulpher is only for mites. For termites chlorpyriphos is the best. Organic- may be you can try neem cake. Thanks for stopping by and am very excited to hear that you are an agriculturist. I wish you all the best for your experiments. Keep us posted of your results. Its great to have agriculturists around :). I hope you wouldn’t mind answering a question or two from us.. Fantastic blog. Thank you for your tips on gardening in India. I am at the moment living abroad and I have my own balcony garden. I was thinking about the possibilities of doing the same in India and I know how hard it is to find some simple stuffs in India that are easily available in the western world like peat moss and vermiculite/perlite. I have been thinking about a replacement for perlite/ vermiculite that could be easily available in India. While doing my research, I found that perlite/vermiculite does not add any nutrition to the plant and their main use is to provide proper aeration in the soil. Besides these are artificially manufactured and some may have contamination through the use of asbestos and other banned materials. Therefore I was seriously thinking that 5mm gravel pieces that are very commonly available in India and are very cheap could be a wonderful natural replacement for perlite/vermiculite. You need to choose the gravel size almost equal to the size of perlite. I think 3mm to 5mm would be the best choice. I am also glad that you are using coconut coir as a replacement for peat moss. Peat moss is already depleting and soon the world would run out of it. n the other hand, coconut farmers in India are stuggling to find an effective way of disposing their coir residues. I am glad that you can find coconut coir blocks easily in India. Therefore, my ideal potting soil would be a mixure of coconut coir peat, 3mm-5mm gravel, cow manure, neem cake and come vermicompost. I would also add some garden grade chalk such as dolomite to add calcium and magnesium content into the soil(when you buy dolomite, make sure it has magnesium and not just calciu. Calcium is very important for tomato plants and magnesium add the chlorophyll for the plants, thus making is very green) . In addition, the key to maintaining a healthy soil is through constant feed of organic nutrition. My ideal nutrition would be compost tea once every week. This is produced by soaking vermicompost(about 1kg) in a bucket(15 liters) of water for 24 hours and using this brew for feeding the plants once a week. Some people use fish tank pumps in this bucket to add oxygen, but I would prefer just stirring this bucket once every two hours during the 24 hour brewing time. even if you don’t stir it up, it works absolutely fine when you keep the bucket in some airy and sunny place for 24 hours. Also, I would suggest to germinate the seeds indoors in small cups containing vermicompost and once the plants reach about 5 inches tall, I would transplant them in their permanent container or land. After tranbsplanting them, it is also important to mulch them using saw dust or tree bark pieces so that the roots are not burnt due to extreme summers in our country and also this mulch helps in moisture retention. Thanks for allowing me to share my experiences and ideas and wish you a very happy gardening and a rich harvest. Thanks for the detailed write up. I am sure this will help the readers. Can you tell me where I can get Bone meal in bangalore and how much it costs? You get bone meal in New tharagupet. It costs somewhere between 30-40 rs /kg. If you don’t find any Let me know I have some stock. Great info indeed. It is practical and to the point and something doable too. I am a late joiner and intend to use my roof with plenty of sun for gardening but have a problem with the weight of soil. Can I use coco peat with something else to make the potting medium really lightweight? If I want to have a bed measuring say, 5′ X 3′ what will be the thickness of the bed? For this total volume how much of dry coco peat should be procured and what are the other ingredient needed? Good idea. You can mix cocopeat with compost and use it as a medium. Findout how many litres of media you need by calculating the volume of your growing bed. The depth can be 8-10 inches. If you buy a compressed bale of Cocopeat (weighs 5Kg), it expands to 80L on adding water. You do the math. I am very poor at that. Thanks for the comment. SFG(Square foot gardening) is a nice way to grow veggies in terrace and there are many experts in this sites forum). When you buy vermiculite, do check the grade. Most of the times in bangalore, you get very fine grade which is not useful. Iam from bangalore and not able to find cocopeat for my first Home pot garden. could not find with any nursery. . but they too said they dont have it. went lalbagh, it was available but has no specification as to how old is it, what is the PH value and EC etc all it says is sterelize coco peat. not sure if it suits for the plants or not. hence my pot garden idea is only a dream for me till i get cocpeat. Anyone, please help as to where can i get cocopeat suitable for plant growth. in other countries like srilanka and other western countries (say UK, US, etc.) not just cocopeat but other gardening materials too are made available to home users in a convinent(retail sales) way, just check their websites, but why not in india. cocopeat is exported to other countries from india but here we the indians ourselves have to struggle to buy cocopeat. Cocopeat is available in most of the garden shops. Get any cocopeat and give it a good soaking of water and drain it few times, all the salt content will go off. If you don’t get it anywhere you can take it from my place. Can’t we make cocopeat on our own? Can you please tell me the way(address) to KRISHNA RAJENDRA NURSERY,SIDDAPURA because I need to purchase some hibiscus plants. Thanks for starting this very informative site. I am new here and very interested in gardening in hyderabad/warangal. I would like to be organic and buy more local varities (not hybrids). I also like plants/flowers that provide fragrance. I am having trouble finding the following plants – rose (desi with good perfume), tuberose (double and single), different kinds of jasmine. Also, where can I find coco coir here. Else, can I use the used coco chells? Hi gardeners! This blog seems really interesting! I am a complete novice with no experience in gardening! However I am really keen on learning and decorating my terrace with flowers and maybe vegetables. Please suggest how to start planting in pots, what can be grown in this season i.e feb, march in Kolkata. Are there any good websites which can guide me around and also suggest the necessary items for a terrace garden and where to get them in Kolkata. Great site! I need perlite and peat moss for growing Carnivorous plants. Can u let me know where to get this in Bangalore. Very nice web site and very informative. I’m also having 50 pots in 4 balconies. I want to start soil less garden. I stay in Bangalore. Where do I get Panchagavya? How to control pests using this. I want to know the address details of your shop. I came across this site and rejuvenated by the idea of potting mix, got 20 big pots, 100kg compost sack and 6 in no. cocopeat bricks of size 6-kg each. I prepared the mixture with equal potion of cocopeat and organic compost and planted hibiscus and other plants, like marigold and other vegetables. Oh my goodness, not even one survived and every single plant started dying. none of the seeds germinated.. and today all my plants are dead and pot are empty. please tell me where did i go wrong? I enjoy, cause I discovered just what I was looking for. i have around 30 pots(including grow bags) where i grow both vegetables and flowering plants. How many more pots can i accommodate? Is it safe to add another 20 more. I have around 850 sq ft space in my terrace.The building is strong, even during the chennai floods we had no leaks from the terrace. Interesting blog and articles here. Only problem is they have bulk packing in 10 kgs and 25 kgs. Please look in the product section. I have been using their products n very happy. Yes you are right. The packaging is big. Especially for a light weight materia like perlite it can be too much for a person who wants only few kgs.